The best travel kettles for EVERY type of traveller! Hi friends! There are some things that we wished we had brought with us when we left London for our family full time travel adventure. 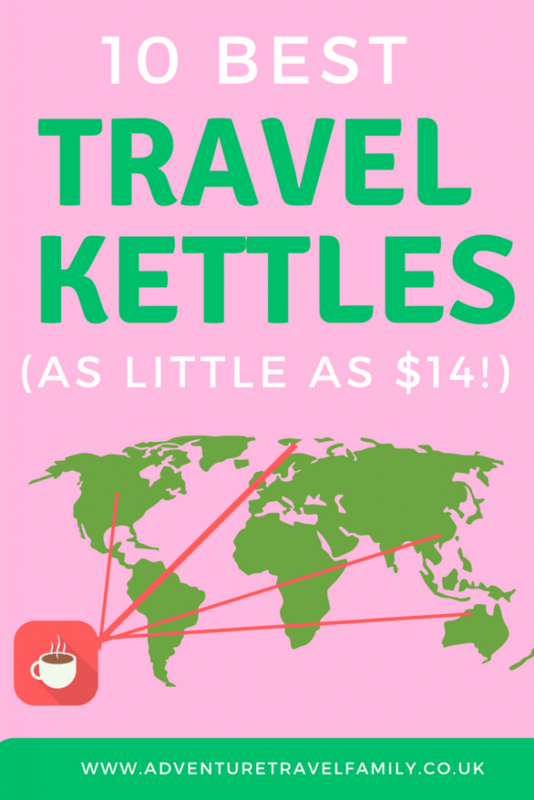 A travel kettle is definitely one of those things- in fact it’s the one thing I would have packed given a second chance. There are also some other things that we have outlined in our comprehensive family travel gear essentials guide. As budget travellers we often stay in guesthouses or cheap hotels that don’t come with a kettle in the room. After a long, sticky journey, when your tired legs collapse onto the fresh white bedsheets (or, y’know, kinda old faded bedsheets) there is nothing that revives you like a hot cup of tea or coffee. I am in love with this thing. If you are backpacking or travelling with minimal luggage, this kettle is ideal as it collapses down into a 16 x 14 x 13 cm package. 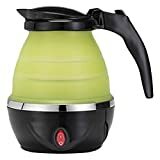 Collapsible kettles for gas stoves/camping have been around for a while but there are few electric ones that aren’t flimsy- this is the best on the UK market. I present to you your itsy-bitsy-teeny-weeny-greeny-tea-making-machiney. This Lakeland 0.5 litre travel kettle comes with cups, a divided container plus spoons and is a no-risk purchase as Lakeland offers a whopping three year guarantee. That’s time to drink a lot of coffee. The divided container is super handy for carrying sugar/hot chocolate powder/ loose leaf tea and the spoons and beakers mean you won’t have to wander down to reception in your pyjamas begging for a mug (been there, done that). The set comes in a handy drawstring bag and weighs 1kg altogether, taking up just 12 x 17 x 17 cm of case space. This sweet little kettle will be delivered to your door for pocket change, along with two compact cups. 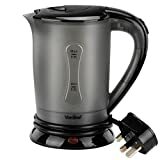 The Lloytron kettle (sounds like a robot) has a 1 litre capacity so it is also the best travel kettle for those who want more than a thimble full of tea or coffee. Ok I’m seriously impressed. It is pretty frustrating carefully packing all your clothes into your cases/bags and then finding them crumpled and creased at your destination. The Bokeh kettle & steamer will help you relax by providing a delicious cuppa AND getting those pesky creases out of your clothes (it can steam continuously for 25 minutes!). Refreshed and looking fabulous, what more could you want? You also save a huge £30 on the usual list price- this kettle is seriously good quality. If you want one cup of hot water, this immersion heater is perfect as a caffeine-providing travel companion. Simply pop the element into the cup (provided with the element) and wait a couple of minutes for the water to heat up. The pack it into its case and be on your way. Quick, easy and no mess! A car kettle? A stylish car kettle? My life is complete. 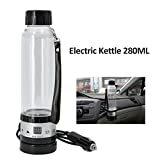 With a 280ml capacity and weighing just 680g, this car kettle works by connecting to the cigarette lighter socket and will have boiling water ready for you in no time. This is definitely the best travel kettle for road-trippers and comes with a car holder and clips to ensure safety and convenience during use and storage. This Russell Hobbs compact kettle has a 1 litre capacity to make enough drinks for the whole family. 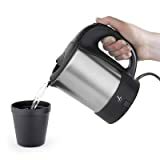 Its stainless steel coating makes it more durable than the usual plastic travel kettles, and with a 55-second boiling rate for a cup of water, it doesn’t waste time. There is also an anti-boil-dry feature for extra safety as well as an integrated water filter so you can be secure about your family’s health. A must when travelling with little ones! It also looks pretty which is never a bad thing. 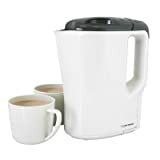 This VonShef travel kettle (with 2 cups) is extremely high quality for its price, making it great value for a travelling couple It has an auto cut-off switch to minimise the risk of boiling dry, a clip to keep the cord tidy, and a compact 0.5 litre capacity. It weighs a tiny 0.57kg and is perfect for backpacking, camping or road trips. We have a complete guide to backpacking essentials, including travel strollers and our favourite must-have travel products- click here to check it out! For day trips and multi-day tours to attractions (the Komodo islands or theme park tickets, for example), we LOVE Get Your Guide. 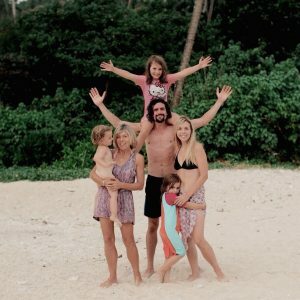 We have used them a lot in Thailand and Bali and are always extremely happy with the engaging English-speaking guides, the amazing tours and the little extras such as cool bottles of water waiting for us in the car. A collapsible kettle! That thing is absolutely Genius. Thanks so much for this Blog Post, and great for the UK or British shoppers too. Thank you Alyson! Got to keep the great British tea tradition alive wherever we are!